I was pleasantly surprised to find that Brooke from LookBrooke nominated me for the Versatile Blogger Award. From my understanding (because it becomes incredibly hard to find the original source of most of these awards) the recipient is supposed to share seven facts and then nominate 15 bloggers. So I do these things called Professional Selling competitions. I wrote about my first one here, and this year I am going to two back to back; one in Georgia for a week and another in Texas for a week. Basically I'm missing school half of the month of April but I #dontcare. These competitions consist of me having a conversation with a professional pretending to be a potential buyer, uncovering the needs of his/her business, proposing a solution with my product, handling any objections, closing the sale, being watched by judges, and being filmed. It is so fun and nerve-racking all at the same time. I absolutely love it! I use the word "wicked" quite frequently. Like "Oh that movie was wicked awesome," or "I'll be wicked quick, I promise." It's really a New England thing and I sort of picked it up from my extended family. I wish that I could become a pirate. But my thing is, I want to sail and yell at my crew but also not steal from anyone or come in harms way. So I suppose I don't want to be a pirate in the traditional sense, but please get me on the water as fast as possible! I read multiple books at once because I need to have some fiction, nonfiction, self-help, and foreign books all going. I'm an obsessive reader. If you are too, connect with me on Goodreads! I love to act. For a very long time I wanted my career to be stage acting, but alas, I decided that world was not totally for me. That doesn't stop me from getting up on stage in productions at school and even being in a short film (watch it below!). I am an amazing chef. My signature dish is peanut butter and jelly. If I could relive any year it would be 2009 when I started my freshman year of high school. Running around in my all girls catholic school with my new friends all wearing matching skirts was amazing. Can I please go back?!?! Now, I am supposed to nominate other bloggers, but I am going to do this a little differently. I open up the floor to all of you! 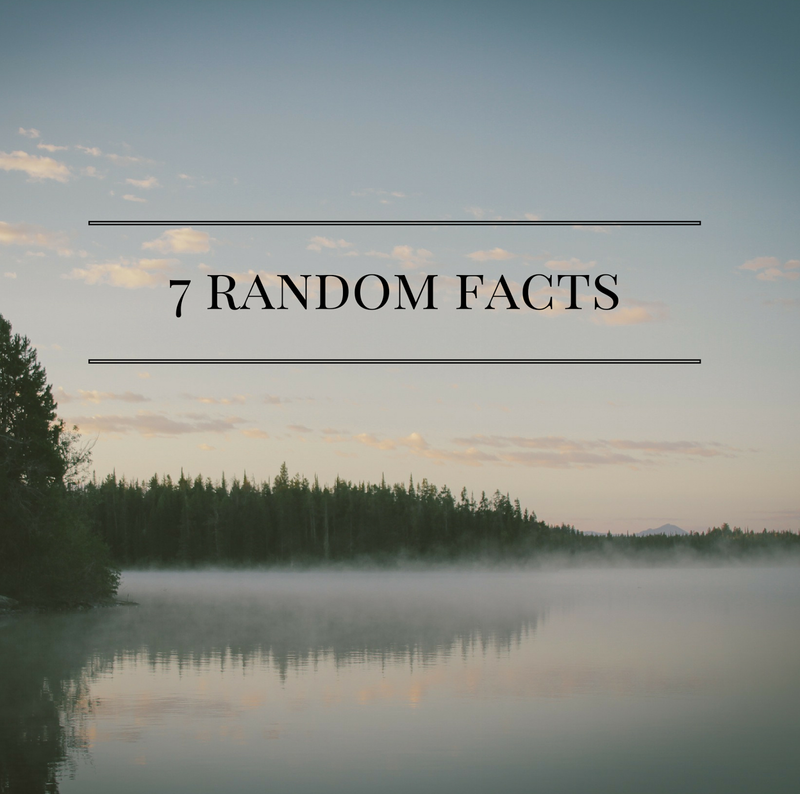 Leave your facts in the comments or a link to your own blog post and I'll be sure to check it out! Hahahha I love #6! Also I had a uniform for high school, I remember matching skirts well! Thanks :) Uniforms are really the best! I definitely would not want to go back to my freshman year of high school! I distinctly remember having to run to catch the bus on the first day of school... not because I was late, but because it drove right past me! It's good that you have fond memories of that year, though. I would probably relive my junior year of high school because everything seemed to go smoother then than in the other years.